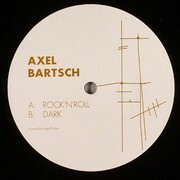 Axel Bartsch, an old friend of the Spielzeug Schallplatten label and long time techno activist, returns with "Radio Controlled". This is a renovated and fresh definition of techno with epic melodies, super functional drums and some top notch bass inferno. Not to be missed.